Step 1 - Choose a single row for your column headers and paste it into Minitab. 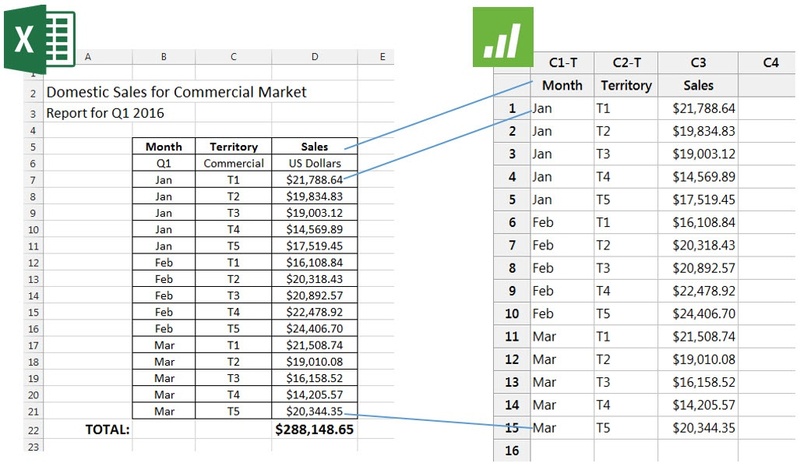 Step 2 - Go back to your Excel file to copy all of the actual data over. And if you have any summary info at the end of your Excel file, you'll want to exclude that too, just like any extraneous column header info. Copy/paste is ideal when you have only a few Excel sheets. But what if you have lots of sheets? In this case, try using File > Open. 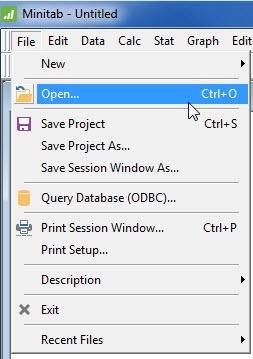 Another advantage of File > Open is the additional import options, should you need them. For example, you can specify which sheets and rows to include. And there are even options to handle messy data issues, such as case mismatches and leading and trailing spaces. 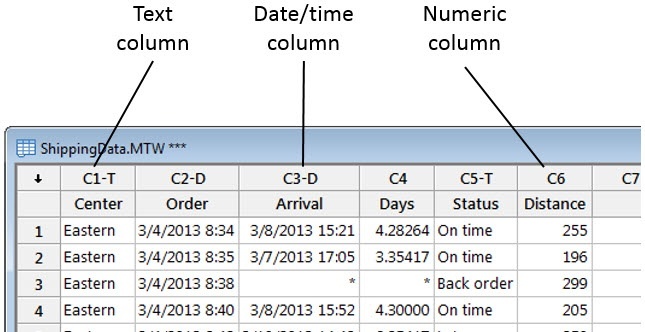 Minitab has 3 column formats: numeric, text, and date/time. Text columns are noted with a -T and date/time columns are noted with a -D, while numeric columns appear without such an indicator. Why does column format matter? It matters because certain graphs and analyses are only available for certain formats. For example, if you want to create a time series plot, Minitab will not allow you to use a text column. If you bring data over from Excel and the format does not reflect the type of data in a given column, just right-click in the column and choose Format Column to select the right type, such as Automatic numeric. Once you import your data and it's properly formatted, you can then use the Stat, Graph, and Assistant menus to start analyzing it. And if you need help running a particular analysis, just contact Minitab Technical Support. This outstanding service is free and is staffed with statisticians, so don't hesitate to give them a call.